Neapolitan food is one of the most famous in the world as it is part of the Mediterranean diet, it is very tasty, and it has a huge variety of recipes. Neapolitan food is not only pizza and pasta: it is a way of eating that allows you to discover the finest details that improve the flavour of an entire recipe. From garlic to broccoli, from tomatoes to lemons. Plus, the art of cooking is very important not only for Neapolitan people but in Italian culture. Here you can find a short guide to what to eat to explore Naples and Campania through the sense of taste. Tomato from San Marzano. It is a tomato with a long shape, red colour and sweet and sour taste. Although it is a kind of tomato native of Peru, it has become famous for its excellent use in San Marzano (near Naples) as the ingredient for an excellent Sauce is a very important ingredient in Neapolitan food as pasta and pizza. Piennolo tomato. This specie of tomato comes in clusters of small tomatoes with a pointed end. 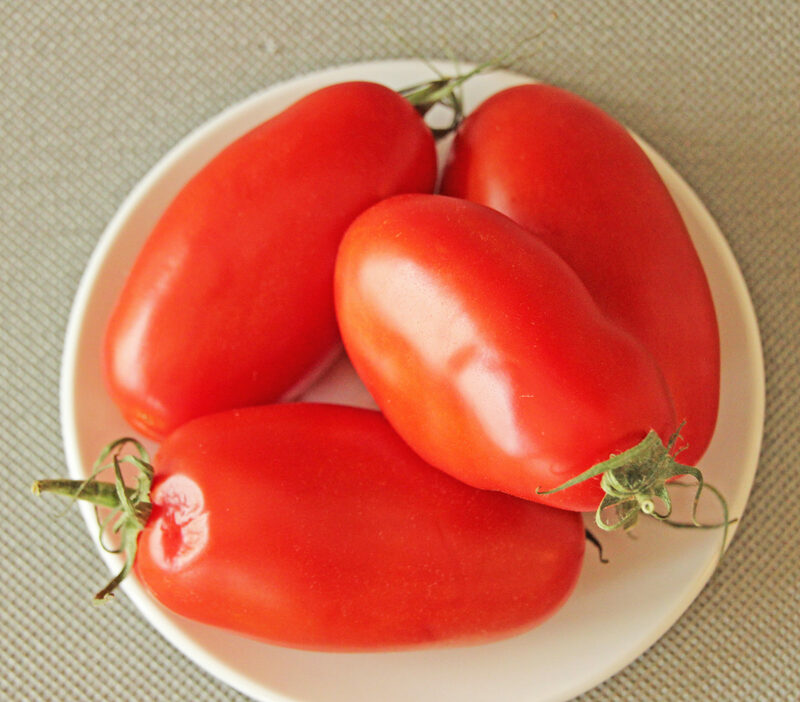 Piennolo tomato is poor in water and rich of vitamins. With its sweet and delicate flavour, it is perfect for Italian and Neapolitan food such as bruschettas, classic pizzas and gourmet ones. Salami from Naples. Milan and Naples Salami are the most famous sausages of the nation. It is made of shoulder or leg ham, neck of pork and loin with fennel seeds and chilli. You can eat Salami as a starter or on pizza. Friarielli. This noun indicates a vegetable that in other Italian regions could be referred to as “turnip tops”. It is a variety of broccoli typically Neapolitan that can be tasted in pasta dishes, on pizza and in one of the most loved recipes by Neapolitans, with sausage. Cheese from Massa Lubrense. The “braid” of Massa Lubrense is a fresh cheese that can be tasted with tomatoes for a “caprese” salad or on the most classic Neapolitan food: pizza. It is one of the most typical products of Sorrento peninsula, but it is loved and used a lot throughout Campania. Tarallo from Agerola. Tarallo was a poor food for self-consumption. Today it can be a snack, or an appetizer and you can taste it in a lot of varieties. The bestis the classic one, with almonds. Walnut from Sorrento. Walnuts from Sorrento can be the main ingredient in pasta dishes or in gourmet pizzas, especially with provolone del Monaco, a typical cheese of the Sorrento peninsula. The walnuts from Sorrento can be small and round or have an elongated form.